Situation: As we age, our bite or occlusion, how your teeth come together when you close your jaw, slowly changes and degrades, becoming more clenched in the upper front teeth. Deep biting causes severe wear resulting in teeth that have short clinical height. This tooth wear is caused by a combination of erosion and attrition and is typically worse on the underside of the upper front teeth. Conventional treatment to repair worn teeth becomes extremely challenging and yields poor results because there is an insufficient amount of crown length or vertical dimension to successfully restore the affected teeth. And with a compressed jaw line, a patient’s facial appearance looks tired and aged, with lips pursed. 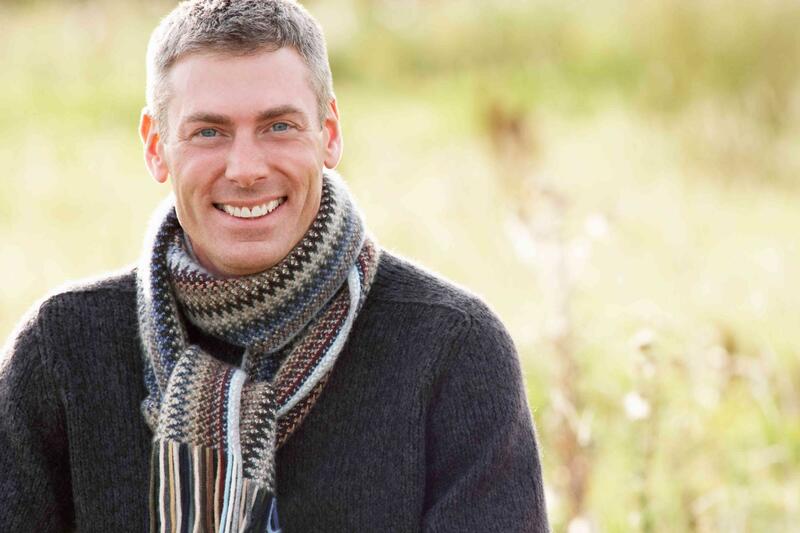 The bite has collapsed and while it may not cause discomfort, it makes the patient appear older than they are and it is also destructive to the upper front teeth. 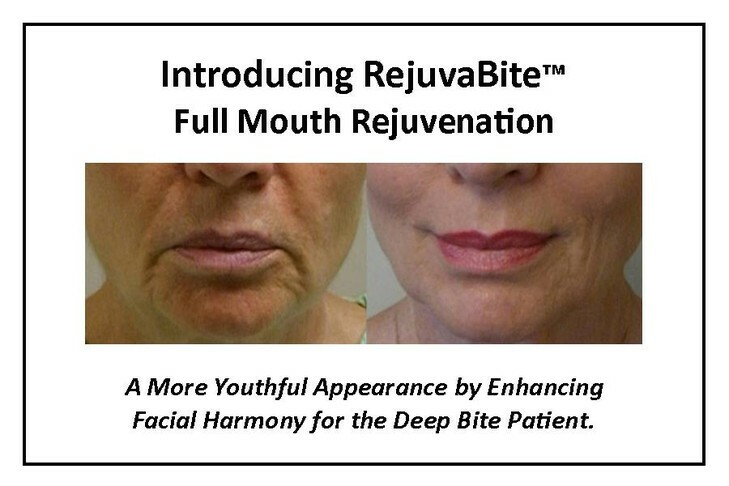 RejuvaBite™ gives the patient back their youthful appearance by returning the bite to its original position from the past. RejuvaBite™ restores the patient’s vertical dimension of occlusion. The vertical dimension is the arbitrary space between the upper and lower jaw upon closure which typically decreases over time due to wear, shifting or damage to t he teeth. Treatment Plan: Treating a patient with a collapsed, aged bite, requires a RejuvaBite™ treatment plan customized by Dr. Korinis and includes phasing, sequencing and material selection. These are extremely important steps in the RejuvaBite™ process, because in cases where mixed restorations are used, Dr. Korinis must ensure that all restoration types are properly selected and compatible from the standpoint of occlusal wear. They must also be placed at the correct intervals to ensure stable, esthetically pleasing results. Typically the proper height of the bite must first be created. This is best accomplished with temporary posterior restorations, then adding anterior tooth restorations to complete a full mouth rehabilitation. Temporizing all four quadrants provides for the equal distribution of forces across all teeth. The patient appears younger right away. Once the temporaries have been tested by the patient, final restorations can be fabricated. Any necessary adjustments that need to be made to confirm proper vertical height and patient comfort will occur in the weeks before restorations are cemented permanently into place. RejuvaBite™ is all about enhancing your smile confidence and a more youthful appearance. For a complimentary consultation about this breakthrough treatment, please contact Dr. Korinis.